Felicity Lawrence has an important article in the Guardian about corporation taxes, which looks at the loopholes the UK government is inserting into the corporate tax code in order to hasten the country's descent into full-blooded tax haven activity. It's aptly entitled Britain's tax rules – now written for and by multinationals. "Over the lifetime of this parliament, about £20bn will be lost in tax receipts as a result, according to the Treasury's own estimates." The article follows on from George Monbiot's more polemical curtain-raiser on some of these issues last year, and Richard Brooks' understated and more technical, yet incredibly powerful description of these changes in a submission to the UK parliament last year. But there is another aspect to all this. 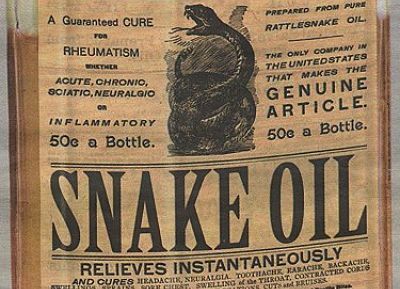 Cutting corporate taxes - whether by cutting the headline rate, or by inserting more loopholes into the corporate tax trough -- is economic quack medicine. As I noted on the LSE blog recently, this course of action is quite insane. UK government policy making appears to have been taken over by schoolchildren - from the Chicago School. They are following what I have politely called horseshit economics, or what others have called voodoo economics, and some have called (in slightly different contexts) zombie economics. It's time the media woke up properly to the basic fallacies behind their approach. I also now have an article, co-authored with John Christensen, on the Liberal Conspiracy blog, entitled Why Cutting Corporate Taxes Won't Help the British Economy. This article was actually shortened from the version I sent them, so I hope they don't mind but I will provide the original longer article here, below. There's a little overlap with Felicity Lawrence's article, and a bit more overlap with my LSE blog, but there is new analysis in here too. If you like stimulus, then cutting corporation tax is the worst way to get it. The U.S. Congressional Budget Office concluded fairly recently that corporate tax cuts (and tax cuts for high income earners) were the least effective of all the options for stimulating economic activity. Far better to stimulate in cleverer ways, such as by investing more or by lowering taxes only on firms that do invest while preserving or raising taxes on those that don't.